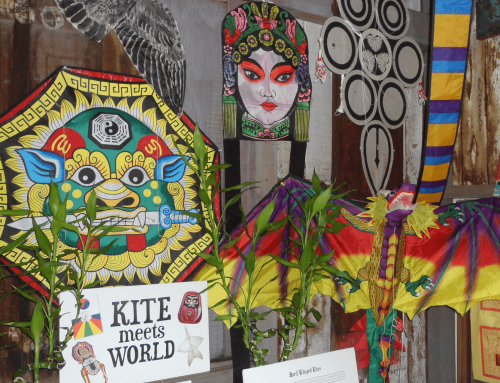 Lahaina Restoration Foundation is pleased to announce that this year’s Lahaina Plantation Days event will be focusing on zero waste and a multitude of ethnic cuisines. When you arrive at the Pioneer Mill Co. Smokestack site at 275 Lahainaluna Road on Friday, October 16 and Saturday, October 17, you’ll receive a free, reusable bamboo spork with each paid admission. 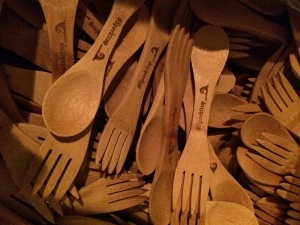 With a spoon on one end and fork on the other, the durable sporks are being provided by the Maui Huliau Foundation, which promotes environmental literacy among Maui’s youth. Students will be assisting at the event and Maui Huliau Foundation will receive a donation for use of the #sporkitup logo on these sporks. Along Restaurant Row, you will find foods being served on biodegradable plates, ti leaves and other natural items. Soft drinks will be served in reusable, collectible cups, coffee and beer will be served in biodegradable cups, and wine glasses will be rented for the event. 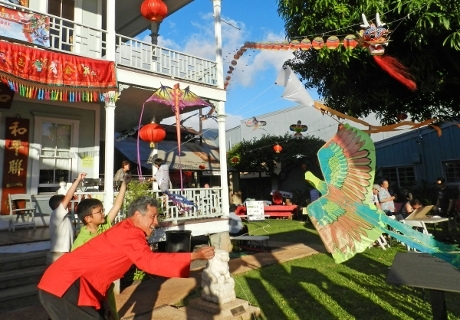 To ensure that Lahaina Plantation Days doesn’t add to the landfill after the fun is done, SimpliFresh Farms will make compost from the biodegradable event waste, and hogs at a local farm will be treated to vegetable trimmings and other goodies from the restaurant food booths. Instead of trash cans, look for multiple ZW (zero waste) stations throughout the event. These stations will be staffed by students from the National Honor Society at Lahainaluna High School. Each station will have a bin for compostables, which will take paper, food waste and green waste, as well a bin for recyclables and a small one for trash. It’s an easy and convenient way to help keep our island clean and sustainable. In addition to the popular food contest award for restaurants, a special Eco-Award will be announced each night for the food booth with the most environmentally-friendly décor and serving plates. An impressive array of ethnic cuisines will be featured in Restaurant Row at the festival. There are 17 restaurants and food purveyors on Friday evening and 15 on Saturday evening. This year’s menu includes: Mochiko Chicken by Aloha Mixed Plate; Kalua Pork Bau Buns by Black Rock Kitchen (Sheraton Maui Resort); Shrimp Bruschetta by Bubba Gump Shrimp Co.; Hamachi Tostada by Cane and Canoe (Montage Kapalua Bay); Beef Sliders by Cheeseburger in Paradise; Philly Cheese Steak Sliders by Captain Jack’s; Cool Cat Burgers by Cool Cat Café; Fresh Island Fish Ceviche by Hard Rock Café; Koloa Baby Back Ribs and Special Slaw by Kimo’s; Fresh Fish Tacos by Leilani’s on the Beach; Leoda’s Turkey Dinner by Leoda’s Kitchen & Pie Shop; Manapua and Pork Hash by The Manapua Bakery; Lu‘au Sampler by ‘Ohana Bar & Grill (Ka‘anapali Beach Club); BBQ Pulled Pork Sliders by Pacific’O Restaurant; Chicken and other Curries by Pad Thai; Molokai Sweet Potato and Haupia Pies by Pono Pies; Gourmet Meat Pizza by Prison St. Pizza; two flavors of ice cream and sherbet by Roselani Ice Cream; Pulled Pork Sliders by Royal Ocean Terrace (Royal Lahaina Resort); Fried Brussels Sprouts by Shark Pit Maui; Garlic Noodles by Star Noodle, and Big Woody’s shave ice flavors. We’re talking about ‘ono grindz! 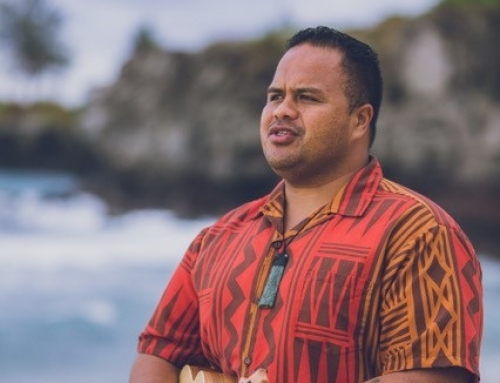 Now that we’ve whetted your appetite and sparked your interest in sporks, come on down to Lahaina Plantation Days between 5:00 and 10:30 pm both evenings. Take advantage of acres of free parking. Admission is only $5 per person; kids 5 years and younger get in free. For updates, visit our Facebook event page. 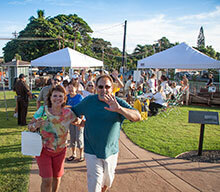 Share the post "Lahaina Plantation Days Event Features Zero Waste and Multitude of Foods"